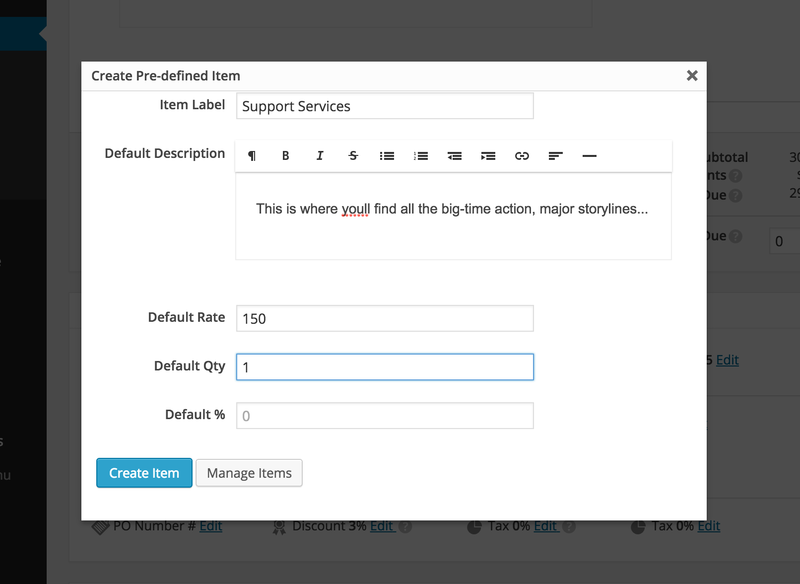 Predefined Line-Items are easy to use and replaces the original “Tasks” feature found before version 5.0 of Sprout Invoices. To create your own custom line-items, select “Create Item” from the dropdown menu. To easily manage your predefined line items, select “Manage Items” on the dropdown menu.